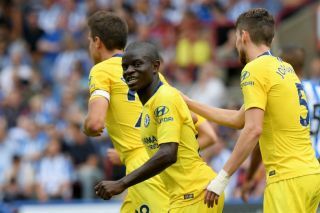 Aside from being a world-class footballer, Chelsea and France midfielder N’Golo Kante has established a firm reputation of being a great person off the pitch too. The 27-year-old was an influential figure in Chelsea’s win over Arsenal at Stamford Bridge on Saturday evening, and he just so happened to bump into a Gunners fan over the weekend. As seen in Twitter user @AFCSharky’s post below, he met the French international at Westfield shopping centre and revealed that after conceding to him that he was upset after Arsenal lost to Chelsea the day before, Kante responded with a smile and apologised for it. Despite winning two Premier League titles since arriving in England with Leicester City and Chelsea respectively coupled with being crowned a World Cup winner over the summer with France, Kante sounds about as humble as a footballer can be. There have been countless tales over the years of players and pundits experiencing issues with supporters of rivals clubs, but it appears as though despite Kante’s allegiance to Chelsea, he has the ability to charm fans of any club as told in this story. With Chelsea starting the new Premier League season with back-to-back wins under new boss Maurizio Sarri, they’ll certainly be hoping that Kante remains a fundamental part of their push for major honours.